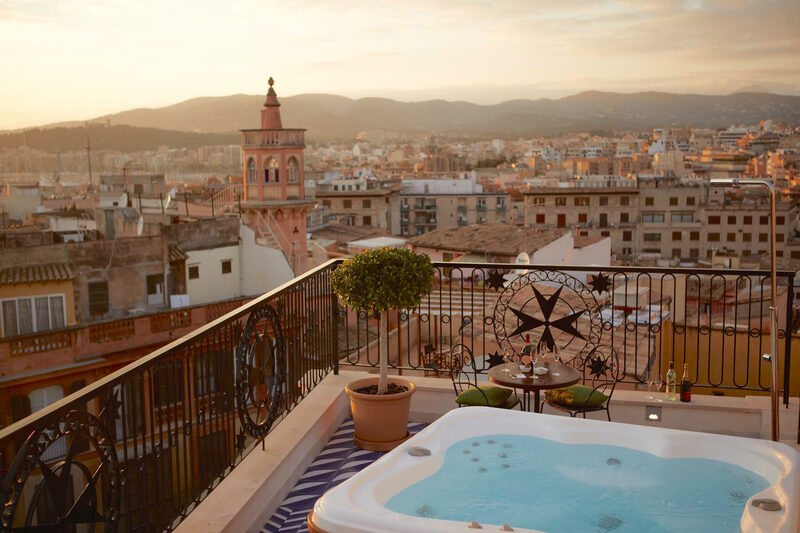 Hotel rooms with hot tubs in Palma ? Ok I know it sounds a bit decadent – but hey why not. Palma´s luxury hotel offering has something for everyone so if you fancy some bubbles with your fizz, then here are some ideas. 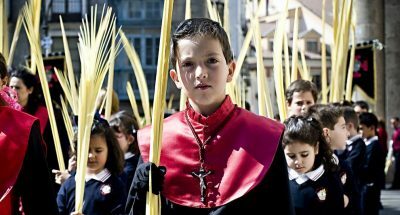 Bo Hotel, situated in the Sa LLotja neighbourhood in the heart of the old town, offers the Sky Spa suite. 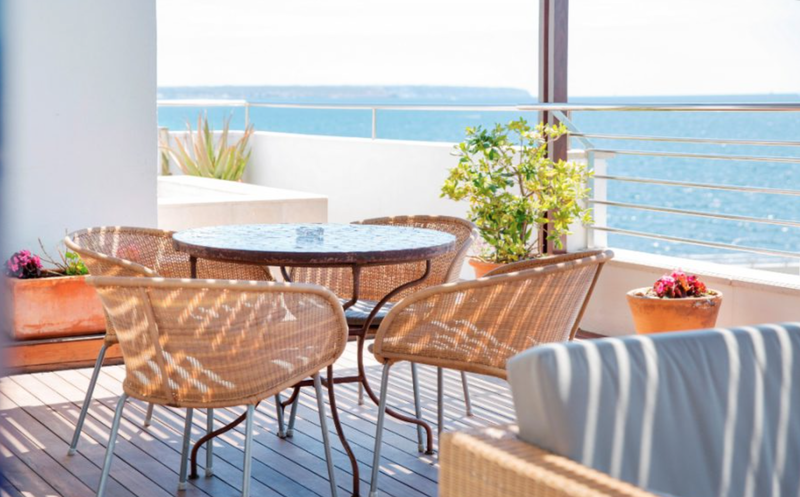 A recent addition to Palma´s collection of luxury boutique hotels it has a roof terrace with chill out area and now hugely popular Italian restaurant. But for a little more intimacy book the Sky Spa suite with hard to beat views across the rooftops of this wonderful city. Portixol Hotel set a 15 minute walk along the prom from Palma offer their spa bath on the roof in the Atico suite. The chic vibe created by this hotel has led to it becoming a destination in its own right. With private access restricted to you only the lift doors open straight into your private suite and onto the generous terrace, the views from the Atico are spectacular. Hotel Cort is a design hotel slap bang in the centre of Palma. From your lofty Island suite you could almost throw a pebble across to the parliament building. Wallow in the bubbles and drink in this view at sunset. 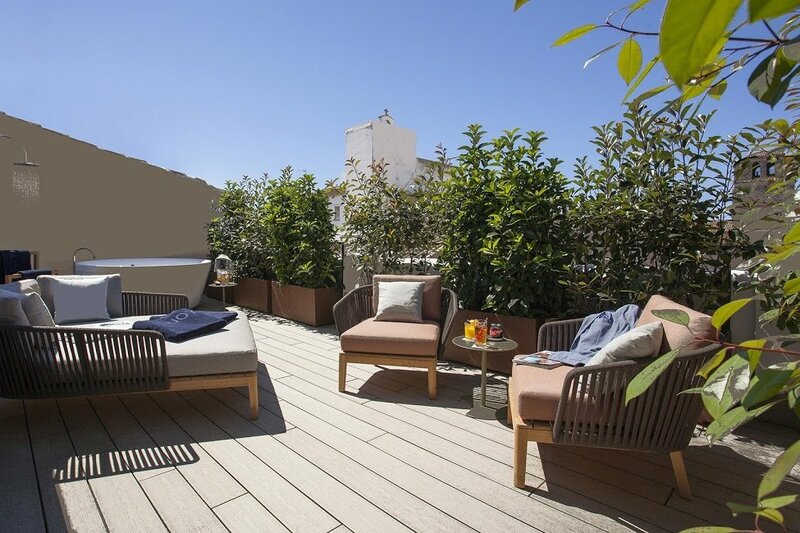 Boutique Hotel Sant Jaume opened just last year offers a Suite Sant Jaume with a generous terrace and views across the city towards the cathedral. 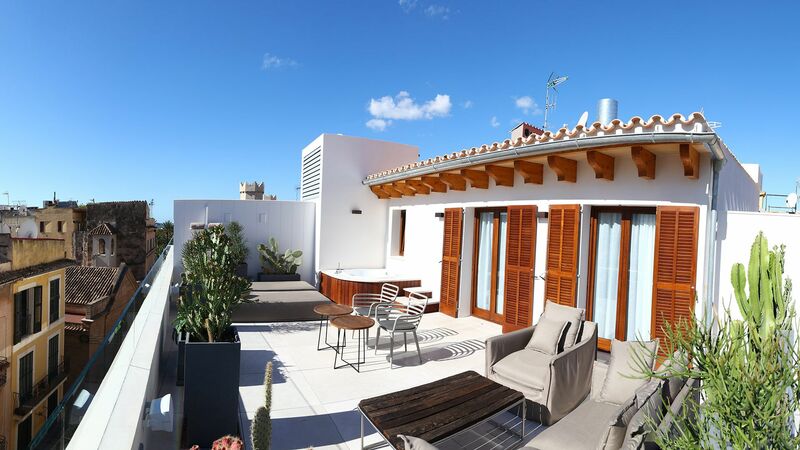 It has a quieter location set away from the main hubbub but just minutes from Avenida Jaime III, one of the most prestigious shopping streets in Palma. Nakar Hotel has probably the best breakfast, lunch and dinner terrace in Palma. It catches you by surprise when you reach the 8th floor and the lift doors open. Residents can take one further flight up to a small splash pool and a cocktail terrace. But for for a more secluded experience book one of the five Deluxe rooms with terrace and hot tub. So if you feel like its time to make a splash and book a hot tub room then click the hotel, or click the Discover Deals to find out more. Include your Promo Code for your year round offers.